NB If you would like to suggest any additions to this list, please use the “Leave a reply” box at the bottom of this page. Fascinating collections of Mountfield in old photographs. Available from Trish and Roger at 1, Church Cottages. 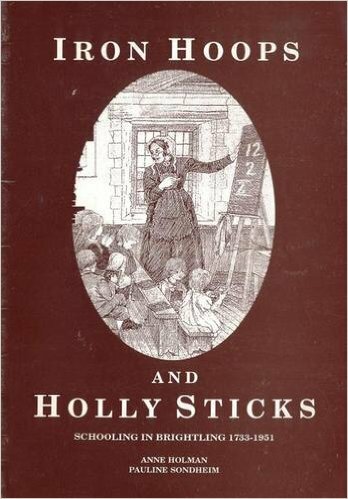 Iron Hoops and Holly Sticks: Schooling in Brightling 1733 – 1951 by Anne Holman (Author), Pauline Sondheim (Author), D. Smith (Illustrator). This book can be ordered second-hand through Amazon and may also be available from independent second-hand booksellers. Top notch account of the Mountfield Hoard found in the field beside Taylor’s Cottage. Also available from Trish. Well told account of the Rother from when it was tidal and navigable to near Robertsbridge to the current relative trickle. Good on what evidence and remains can still be seen today. Only available second-hand online at silly prices (it’s a 96pp paperback). Slightly dry but very interesting history of the planning for and building of Darwell Reservoir, all driven by a great engineer, Sidney Little. Available from The Brede Steam Engine Society. Tithe Maps of Brightling, Mountfield and Salehurst. These are available on CD-ROM (for PC only) from the East Sussex Records Office website (which is very confusing) for £15.00 each. Quickest way in is to Google “East Sussex Record Office” and navigate to Tithe Maps. A fine local village history full of resonant local names. 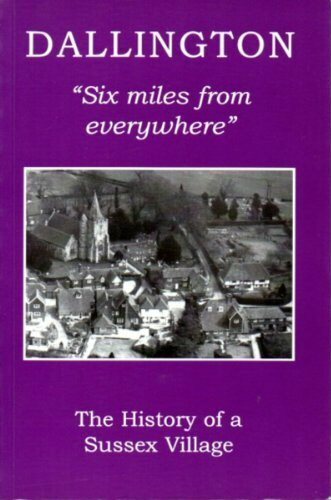 Available for £8.00 + p&p from Dallington Parish Clerk: . If you know of other publications for inclusion, please leave a reply in the box below.